Robert Peernock appeared to have the ideal life; working as a pyrotechnics engineer and computer expert and coming home to his wife and daughter, he projected the American dream. Even when he and his wife separated, it seemed amicable, just a small bump for the well-to-do family. But there was madness in his house: in private, Peernock was violent, subtly manipulative, and bordering on psychotic. But the horrifying details of his home life would only come to light after Peernock finally lost all control. Peernock had come home, brutally beaten both his wife and daughter, force-fed them alcohol, and deliberately sent them to their deaths behind the wheel, staging it to look like a drunk driving accident. He didn't foresee that his daughter would survive, and even with years of abuse, her attempted murder, and horrendous injuries, he never anticipated that she would speak so powerfully against him. 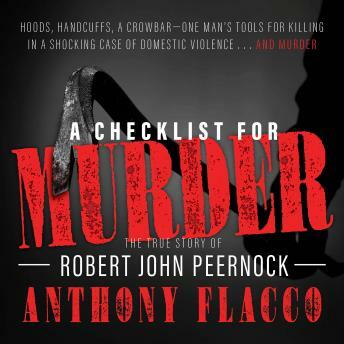 Here New York Times bestselling author Anthony Flacco chronicles the sensational trial and all the terror that preceded it, looking deep into the mind of a deranged killer whose American dream was a waking nightmare for those trapped within it.